The town of Luton in the UK is famous for lots of things; hat making, Vauxhall cars, David Arnold, Paul Young and now the Filmstock International Film Festival. Now in its 8th year, the festival’s passionate approach to Independent filmmaking has gained it a dedicated and ardent following. This year’s gathering saw an 11 day period heaving with cinematic delights, as the Filmstockers united to witness an array of over 90 short films from nearly 20 countries, Polskistock – a season of Polish films, an Endurance session and lots more. 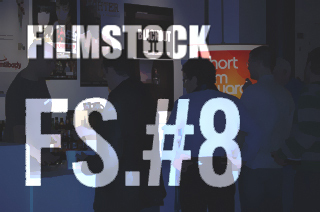 Having been one the dedicated followers of Filmstock from the very early beginnings, I took this opportunity to get a behind the scenes look at the festival and discover exactly what it takes to make this congregation of film worshippers happen.